Sinn Féin TD for Wicklow/East Carlow John Brady TD has secured significant progress in the reopening of the courthouse in Wicklow Town. “Having made a comprehensive argument to Minister Flanagan on the need to reopen the courthouse in Wicklow Town, I received an update from the Minister today. “During discussions with Minister Flanagan he now intends on moving it to the next Public Private Partnership bundle which will mean work should commence as early as 2018. Despite, the Minister recognising that there are some technical issues he is hopeful that these can be overcome. This is a very welcome move on the part of the Department of Justice & Equality after extensive lobbying. “The reopening of the courthouse will mean much more than providing additional court services for the County, it will also bring life back into the town particularly, in the market square. “We know that the current court service which is based in Bray is bursting at the seams. 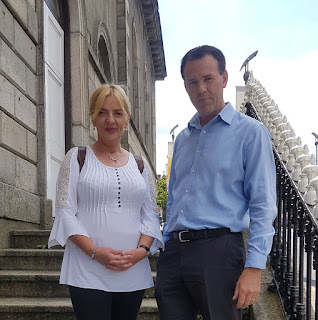 “Minister Flanagan has assured me that detailed information on his Department’s plans in relation to Wicklow courthouse in writing will follow our discussion today.